Prompt, efficient, not too expensive. Your technician was on time, very neat, clean and efficient! 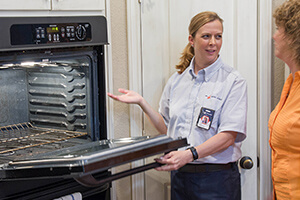 Customer service and technicians gave pleasant, professional and competent service for my warrantied oven.